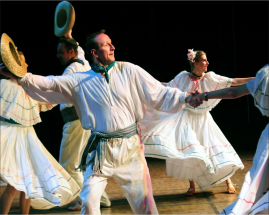 I’ve had the opportunity to learn and perform ethnic dancing for almost 50 years. 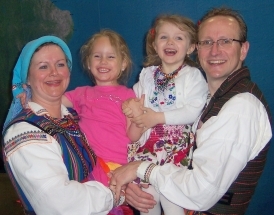 Starting out in the Ukrainian community of northeast Minneapolis, I was a member of the Cheromosh Ukrainian Dance Ensemble promoting my Ukrainian heritage. From there I tried out for and made it into the Ukrainian Dance Company under the direction Yaroslav Billy. Being part of UDC, I met and danced with John Omorean the choreographer of Izvorasul Romanian Dance Ensemble. 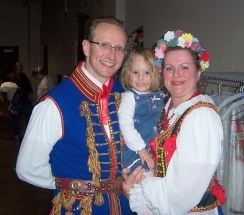 As a member of Izvorasul, I met Edziu Rajtar the director of the Dolina Polish Folk Dance Ensemble, which I joined after completing my Bachelor of Science degree in Chemical Engineering. 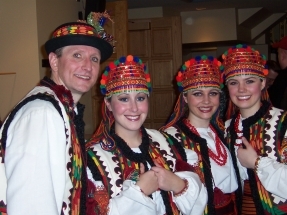 Being a part of the Dolina Polish Folk Dancers allowed me to meet Don LaCourse, choreographer of Ethnic Dance Theatre which allowed me the opportunity to continue to grow as a performer and be exposed to many, many more ethnic cultures. It’s amazing how a hobby can lead to so many encounters with so many very skilled choreographers located in the Minneapolis / St. Paul area of Minnesota. 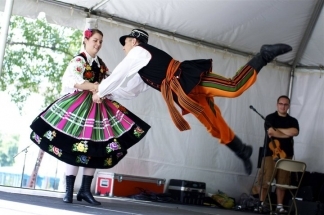 However, through their dedication to each of their specialties, I have also been exposed to an even more choreographers and musicians from around the world specifically, Bulgaria, Hungary, Moldova, Poland, Romania and many of their sub regions. Currently, the performing portion of my hobby is slowly winding down, while the opportunity to work with individual dancers as an instructor and teaching suites of within Dolina is ramping up. Although, I have no specific training in any one given area, the experiences and encounters with a large number of very qualified teachers and choreographers gives me the opportunity provide members with a variety of techniques to bring out the most of a dancers potential.